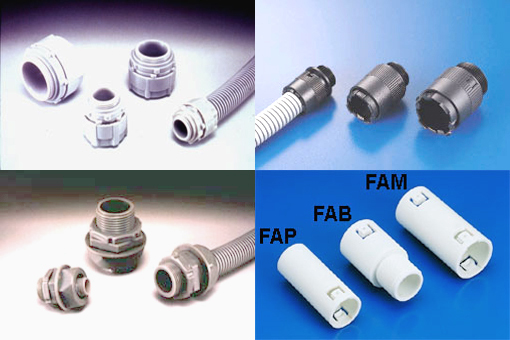 Flexible Conduit Adaptor (BG / FAM / FAP / FAB / MG / PAQ / BGQ Series) - Kai Suh Suh Enterprise Co., Ltd.
-Material: UL approved Nylon 66, 94V-2 (Grey). -Composed of three parts to fix flexible conduit in control panel, machinery and apparatus. Mount body to pre-drilled panel hole. Insert conduit to claw and fix it with nut to complete works.